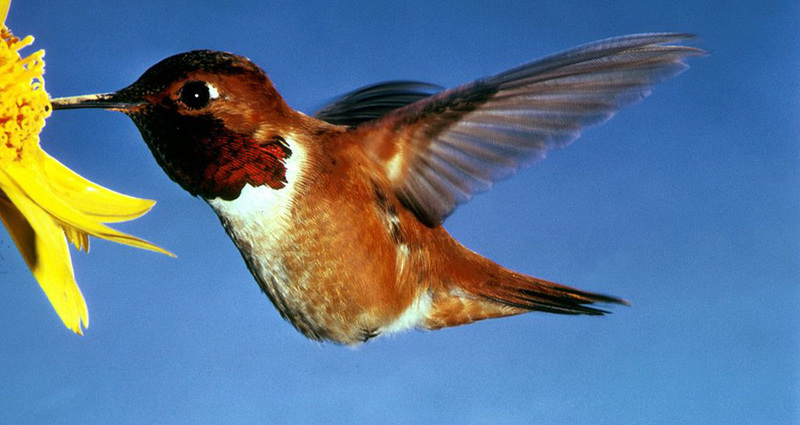 It was a frigid Tuesday in November when a tiny rufous hummingbird showed up in a front yard in St Paul. The day was unusually cold, even for Minnesota, with a high of 26 degrees Fahrenheit (-3 degrees Celsius) and snow looming – conditions way too harsh for a whisper-light animal that normally winters in Mexico. A concerned homeowner posted the sighting online, and a local wildlife rehabilitation expert came with a cage, leading to a tense standoff about what to do next. Unsolicited opinions poured in from around the country, says Phil Jenni, Executive Director of the Wildlife Rehabilitation Center of Minnesota (WRC), a donor-supported rehabilitation clinic that took in the bird. Many people expressed gratitude that a fragile animal had been saved from certain death. Others debated where the bird came from, where it belonged, and how or if the facility should release it. A typhoon had just slammed the Pacific coast, potentially altering the jet stream, which might have been what drove the hummingbird into the Midwest. Now that temperatures were plummeting, nobody felt comfortable dropping the little male back into the woods of Minnesota. As the days passed, emotions escalated. On social media, critics hammered the WRC and the United States Fish and Wildlife Service, which had become involved in decision-making. A Facebook page appeared called ‘Free the Rufous’. And finally, a donor with a private jet offered the caged bird a ride to Texas, where a licensed rehabilitation expert was waiting to set it free. Along with countless other animals, the little hummingbird and its big trip consumed a portion of the many millions of dollars that go towards wild-animal rescue and rehab efforts each year, often donated by people who are moved by images of big-eyed, furry creatures fighting for their lives. Single animals sometimes get care that costs hundreds of thousands of dollars – money that could be spent instead on protecting habitats and other conservation efforts that save far more animals at a time. Could wildlife rehab be a massive waste of time and money? "If you gave me an endangered species to save and a million dollars to spend, where would I put wildlife rehab as a priority? It would have to be very, very low," says Brendan Moyle, a wildlife economist at Massey University in Auckland, New Zealand. "Obviously it’s a case-by-case situation, and what I suspect is that there are a large number of cases that wouldn’t survive a proper cost-benefit analysis."